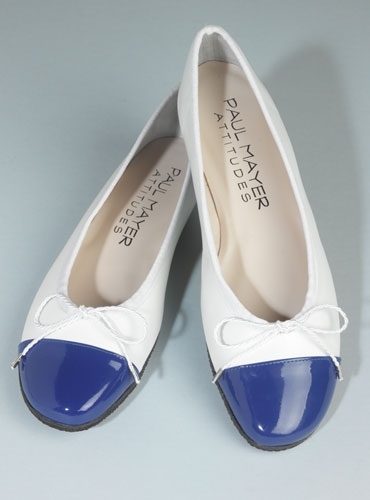 Add a pop of color to your wardobe this season with these Paul Mayer flats. This soft nappa leather shoe has a patent cap toe adding just the right amount of interest and color. Handmade in Spain, these flats offer more than a sense of ease and sophistication. The insole is fully padded for maximum comfort and there is an adjustable band around the top of the shoe for a customized fit. 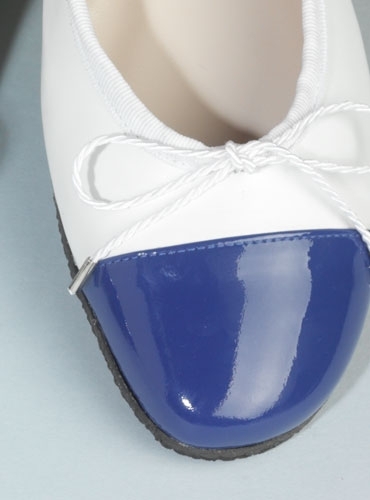 Perfect for dress or casual, these flats will take you throughout the day with comfort.